Trained in multiple fields, Lakshmi Pulakat has acquired a unique set of skills that has allowed her to take an interdisciplinary approach throughout her professional journey. Her background lies in biochemistry, molecular biology, chemistry, physiology, and medicine, which she feels helps the way she thinks. Dr. Pulakat enjoys developing novel approaches to cardiovascular diseases, and has played a key part in changing the attitude toward female participation in research or clinical trials. She is currently parlaying her knowledge into her roles as a professor of medicine, nutrition, and exercise physiology at the University of Missouri, which she’s held since 2009. Dr. Pulakat prepared for her endeavors by earning a Bachelor of Science in chemistry at SNGS College at the University of Calicut in India in 1979, and a Master of Science in life sciences and a Master of Philosophy in molecular biology, specifically in the DST unit of genetic engineering, from Jawaharlal Nehru University in 1981 and 1984, respectively. She continued her education in Australia, where she obtained a PhD in biochemistry and molecular biology at the University of Melbourne in 1989. As a testament to her strong rapport among her peers and community, Dr. Pulakat has received numerous accolades. 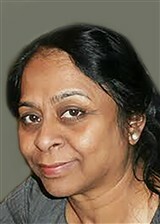 She was honored with the Excellence in Education Award from the Division of Student Affairs at the University of Missouri from 2012 to 2013, a postgraduate scholarship from the University of Melbourne from 1985 to 1988, and the National Science Talent Scholarship from the National Council of Education Research and Training in India from 1976 to 1984. Further, for her contributions to Bowling Green State University, she was recognized as an Outstanding Contributor to the Graduate Education from the Graduate State Senate, as well as with the President’s Award for Collaborative Research and Creative Work with Graduate Students, a Certificate of Appreciation from the Distinguished Thesis Award Committee for Mentoring, the Elliot L. Blinn Award for Faculty for Undergraduate Student Innovative Basic Research, and a Teaching Reward from the Department of Biological Sciences. When Dr. Pulakat has free time, she pursues hobbies such as reading, gardening and cooking.